HAPE COLLECTIVE FIRST MUSIC PRODUCTION CAME OUT OF CHAD! Chad is rarely on the spotlight of today's global musical conversation. Overlooked, misunderstood and misrepresented, outside observers rarely concede the country an autonomous voice over its past, present or future. Pulo NDJ found its inspiration in the country un-narrated diversity and set out to explore the possibilities offered by technology to demonstrate how the rich heritage connects with existing musical conversations. Born in 2017, the band Pulo NDJ praises N’Djamena, with its well-kept stories of boundary-breaking musical collaborations and thirst for experimentation, a city that reflects the country's diversity; it celebrates the arid North of Chad, bordering the Sahara, where nomadic tribes revere the endless desert with their handcrafted instruments; it sings the South, lush and tropical, where the frenetic drumming of local initiation ceremonies blend with sounds of neighboring Congo and Cameroon. 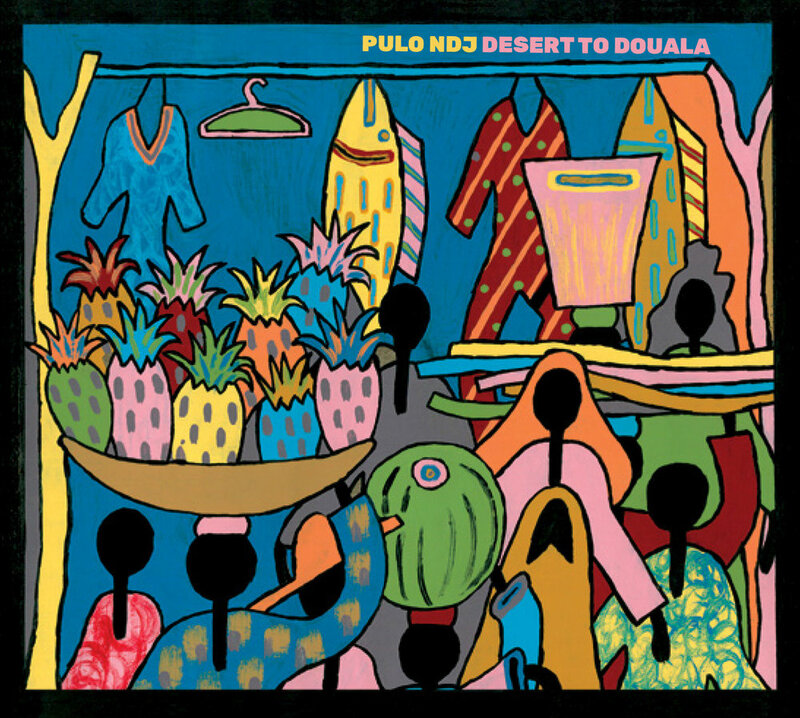 Pulo NDJ’s debut album, Desert To Douala is due March 29th on Wonderwheel Recordings. It contains hopeful, life-affirming songs documenting the human experience in this overlooked corner of the world. The garaya, a traditional string instrument used by the shepherds of the region, brings desert vibes to the record. The hypnotic balafon, ancestral chants and tam-tam patterns are blended with subtle electronica. African-pop vibes complete the picture.